TORONTO, May 6, 2014 – Canadians with aging moms may want to rethink plans for Mother’s Day. Remaining living at home for as long as possible is the absolute top priority for 90 per cent of Canadian moms 55 and older, says a new survey commissioned by Bayshore HealthCare. 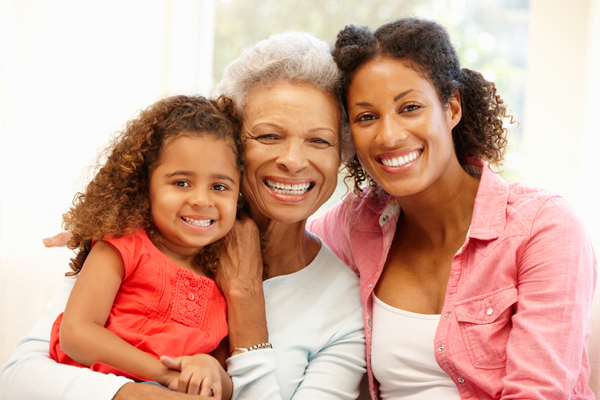 The Mother’s Day 2020 survey, which interviewed both aging moms and adults with moms who are starting to slow down, concludes that ensuring mom`s happiness requires some longer term planning. Taking mom out for a Sunday brunch is nice, but 85 per cent say cooking in her own kitchen is what makes her happy. Similarly, more than half say they would rather grow flowers in their own garden than receive a bouquet. The survey shows that the kids do get it. Ninety-one per cent of people with elderly moms know her top wish is living at home as long as possible. But helping her with personal care and household chores is already stretching the kids to the limit, with a quarter spending more than 20 hours a month caring for mom. Virtually all moms polled (96 per cent) said they do not want to be a burden to their kids, and 79 per cent went so far as to say they do not want to end up living with one of them. Half of the kids say they also don’t want mom living with them. Home care services, which include nursing, personal care, meal prep, household chores and companionship, can help keep mom at home instead of a long-term care institution. Seventy per cent of the moms polled said they like the idea of home care and half have friends who use it. Three-quarters of Canadians with elderly moms say they are willing to make some sacrifices to pay for home care – 48 per cent say they can go out less for dinner, 46 per cent are willing to cut entertainment expenses and 40 per cent are ready to spend less on travel. Bayshore HealthCare Ltd. is one of the country’s leading providers of home and community health care services and a Canadian-owned company. Its services are purchased by government care programs, insurance companies, workers’ compensation boards, health care organizations, the corporate sector and the public. The Bayshore brand extends across four business divisions: Bayshore Home Health (medical and non-medical home care and staffing services), Bayshore Specialty Rx (specialty pharmacy, infusion and pharmaceutical patient support services), Bayshore Therapy & Rehab (physiotherapy and rehabilitation services) and Bayshore Dialysis (dialysis centers). The company’s goal is to enhance the quality of life, well-being, dignity and independence of Canadians of all ages. Bayshore HealthCare has been a recipient of Canada’s Best Managed Companies award since 2006. For more information, call 1-877-289-3997 or visit www.bayshore.ca. From April 30 to May 1, 2014, an online survey was conducted among two samples of Canadian adults who are also Angus Reid Forum panel members. The first group of 328 has a margin of error — which measures sampling variability — of +/-5.91%, 19 times out of 20. The second group of 711 has a margin of error of +/-3.67%, 19 times out of 20. The sample was balanced by age, gender, region and education (and in Quebec language) according to the most recent census data. Discrepancies in or between totals are due to rounding.